The #TrendsterAras18 Presidential Interview Series aims to help better inform young voters ahead of the Irish Presidential Election on Friday, October 26th. We have requested interviews with each of the six presidential candidates and have set out a list of eight questions which we believe will offer young people more of an insight into each of the presidential hopefuls. The first candidate to accept our interview request was Sean Gallagher. 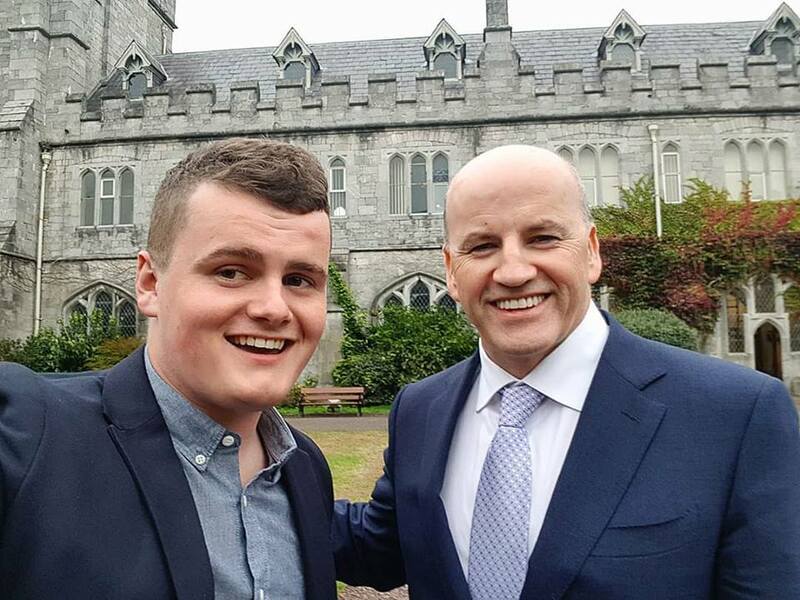 I sat down to speak with Sean during his visit to University College Cork. Why did do you decide to run for the Presidency? 1. Why did do you decide to run for the Presidency? 2. In your opinion, what do you believe sets you apart from the other candidates? 3. 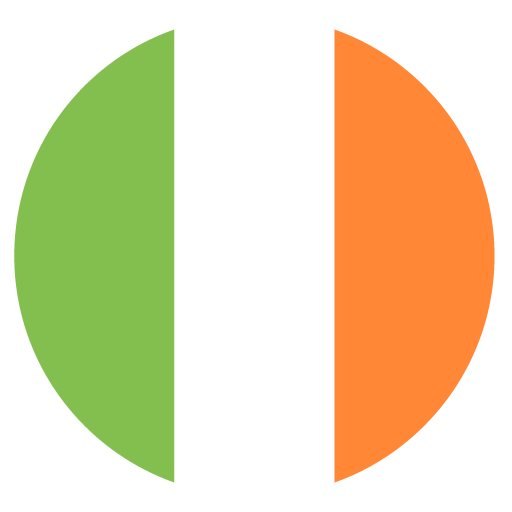 What do you understand the Presidents role to be in a modern Ireland? 4. Can the President implement any substantial changes on issues affecting young people in Ireland or is the role restricted? If so should this be changed? 5. Over the last number of years, we have seen some substantial social changes in Ireland, two of the most notable would be gay marriage and the removal of the 8th amendment, many would agree that these changes were driven by younger voters wanting a better Ireland. As President is there any further social change that you would like to champion? 6. There has been much discussion in the last year around lowering the voting to sixteen, what are your views? 7. If elected as President and you could invite anybody over to Aras an Uachtaráin for tea, who would be your first choice? 8. If given the opportunity, what one piece of advice would you give to your 18-year-old self? Why does anybody step forward? Why would anybody want to be Taoiseach?… Why would anybody want to be a local representative? Why would anybody want to set up a youth club like I did when I was seventeen? Why does anybody want to set up a community organisation to respond to the challenges? At our core I think our responsibility in life… is to make a difference… and the big push now, and I spend a lot of time with young people, I spend a lot of time coaching and mentoring, and people are not just looking for a livelihood, you can get a livelihood in any number of ways, people are not just looking to piece a course, to get a degree, what people want is meaning, purpose… and that they can make a contribution, and every single one of us, have unique talents and abilities, and it’s about using those to make a difference, and that’s what I want to do, and I am a great believer in, which I know a lot of people are cynical about, which is being of service. Every community group is of service to somebody, every youth organisation and sporting organisation is doing a service, it’s not just about playing games, it’s about building character, it’s about building discipline, motivation, it’s about team spirit, it’s about chasing goals and victories, but also dealing with defeat, that’s what it’s about, and that’s all in service to building who we are, and it’s also about building communities, and… at its heart it’s about being at service, every business is about being of service to its customers or its end users, that’s ultimately I think is our calling… and the President, when they’re elected, and on their inauguration day… declares to the public that they want to use their abilities to serve the Irish people, and that’s what I want to do… and I want to do that home, talking to individuals, talking to community groups, disability groups, recognising every person as the head of state, listening to their stories… I spend a lot of time listening to people, listening to people’s stories, it is incredibly powerful because people feel heard, and acknowledged… recognising community activism, volunteerism, and that which is recognised people will then continue and be motivated to continue to work, why? Because we all need to be recognised for our effort and our talent… and then to represent the country abroad, I think Ireland is great, I think it’s wonderful, I’m hugely passionate and patriotic about Ireland, about the good things in Ireland… so often we spend so much time on the negative, focusing on what’s wrong, rather than on the opportunities we have, and I want to stand on a global stage and say Ireland is a great country… we’re young, we’re dynamic, we are open for business, we’re inclusive, creative, we’re loving, we’re caring, we’re humorous, we’ve got depth, we’ve got character, we’ve got authenticity, we’ve got a roughness around the edges… but we’re loyal and passionate about everything we do, and to represent that, to attract business to Ireland, attract tourism to Ireland, to grow it, working with the government, working hand-in-hand with all the institutions of state at home, and abroad… ultimately I want to make a difference, and to create ultimately if I had one big vision for Ireland… it’s that we would make it a country where every single person… can, and wants to live their life… to achieve their highest potential… no matter what their creed, age, religion, identity, disability or level of ability.